I am frantically painting away in my studio trying to meet the deadline for the Naive Festival in Poland. Normally I can pretty much concentrate on my work but lately life, the universe and everything has gotten in the way. Oh and I will write a blog and tell you all about that too, not happy Jan! But today’s art blog is about 2 art exhibitions that I have opening this week in 2 different cities, well countries in the world. 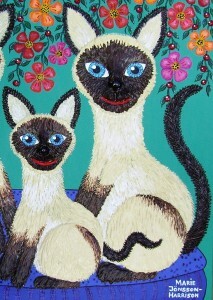 We are Siamese if you Please! The first is in Denmark at a gallery called Galleri Naif and run by Mia Cara who is a Bulgarian naive artist herself, this exhibition is in Islands Brygge in Copenhagen and runs until the 5th of May and is called “Spring exhibition”. Mia also runs a website if you would like to take a look at her own artwork. This exhibition was booked through my lovely friend Eliane Kristensen who I first “met” online through either Facebook or LinkedIn (I cannot remember which). She started following my artblogs and making comments and we found that we had lots in common. Eliane is a very interesting person, bubbly and vivacious full of “get up and go”. She runs her own website called artishop.dk as well, which has art and jewellery and Eliane also writes articles for different publications as well as the internet. Here is a link to her on Pinterest. 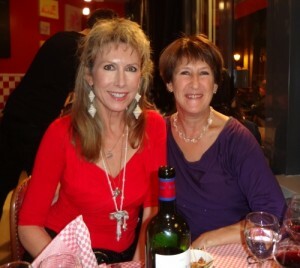 Last year whilst my husband and I were travelling in Europe Eliane arranged a lovely dinner at a fabulous Parisian restaurant in Butte aux Cailles which is a most interesting part of Paris. We were joined by my lovely friend Jacques Dubois who is the man responsible for organizing the Art Naif Festival in Katowice, Poland each year. Elaine and I now refer to Jak as Mr Tornado (LOL with Love and Affection of course) as that is just what he is. Jak is so full of enthusiasm and fun that he can hardly sit still and is the most stimulating of conversationalists. Whilst Jak had not felt totally comfortable whilst writing English he had absolutely no trouble in making himself understood whilst talking and if there was a word here or there that we didn’t get, Jak would simply get up and do a Marcel Marceau impersonation. I was therefore not surprised to find out that Jak in an earlier life had been a celebrated actor but these days he is a very astute business man with a great love of art. So it goes without saying that we had the most wonderful night and dinner was followed by a stroll through this interesting part of Paris till we found a little cafe to have another drink and some coffees before finally saying goodbye. It was really wonderful to meet my European art representatives and now firm friends in real life, just goes to show how the internet connects people and makes things happen. So now to somewhere closer to home, well we are still talking 1300 kilometers from home in Sydney. My other exhibition that opened this week was in Sydney at the Callan Park Gallery at Sydney University. 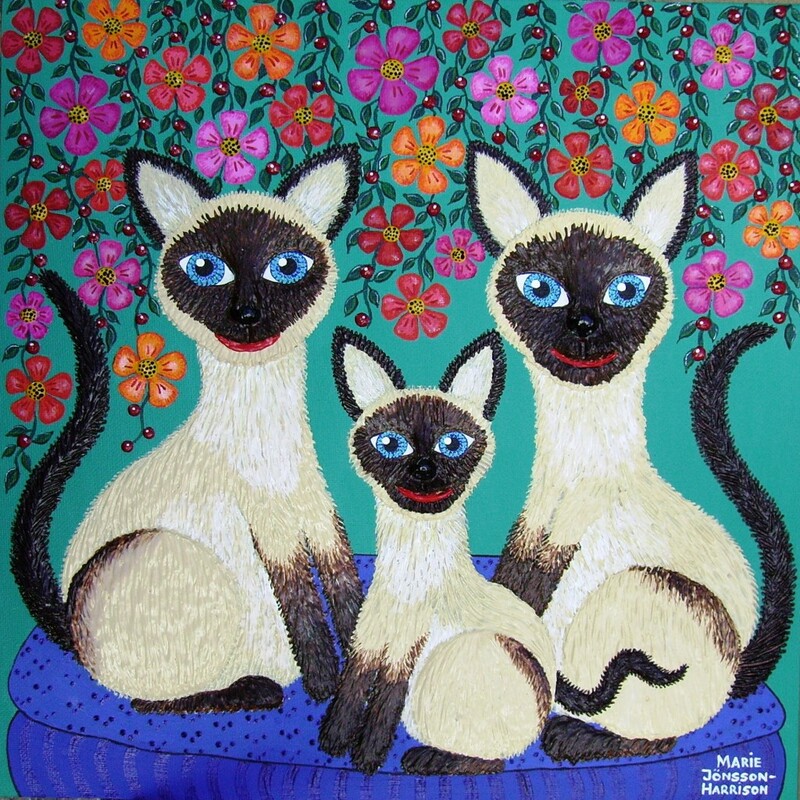 This one is called Naive art of Australia and features several other naive artists as well. The exhibition has been curated by Nerida Olson who is passionate about art and is the Public Relations and Marketing Manager at Sydney College of the Arts, Division of Architecture and Creative Arts. I was asked to exhibit at their Sydney gallery last year as well but at that time due to time constraint it wasn’t possible. This show runs until the 2nd of May, so I hope a lot of you Sydneysiders make your way there and have a look. In this gloom and doom word, let us Naive artists put a smile on your face and get lost in our little rays of sunshine. Here is a quote by Howard Ikemoto that I think fits well here which reminds us that we are all artistic – every one of us.